It's a cold, windy winter's day and the sky is grey and cloudy. 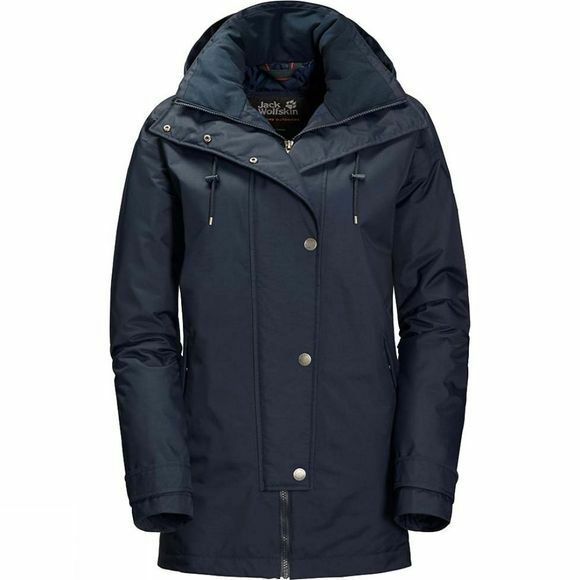 The Womens Toronto Bay Jacket from Jack Wolfskin is ideal for weather like this, and the perfect jacket for town or country. It keeps you warm and keeps out the rain, snow and wind. And with its contemporary O-shaped design, it won't look out of place on the streets of Berlin or New York. When the cold wind blows, simply fasten the high collar for more protection. 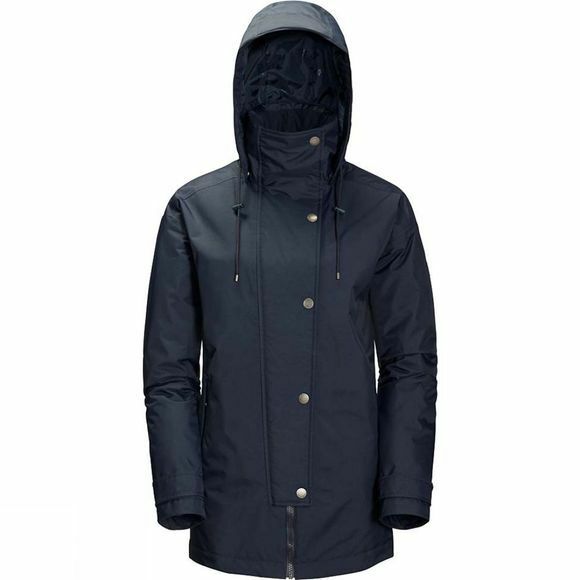 And if it starts to rain or snow, don't worry–the jacket also has a snug, adjustable hood. Sightseeing or nature watching in freezing cold temperatures has never been more enjoyable!